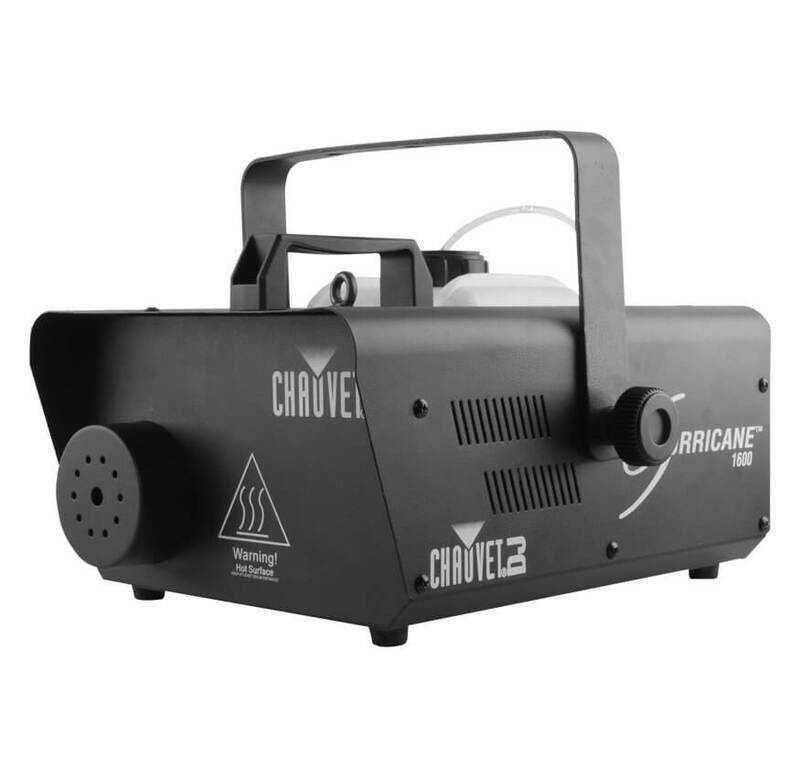 The Hurricaneâ¢ 1600 is a compact, lightweight high output fog machine that with DMX control to enhance any light show. 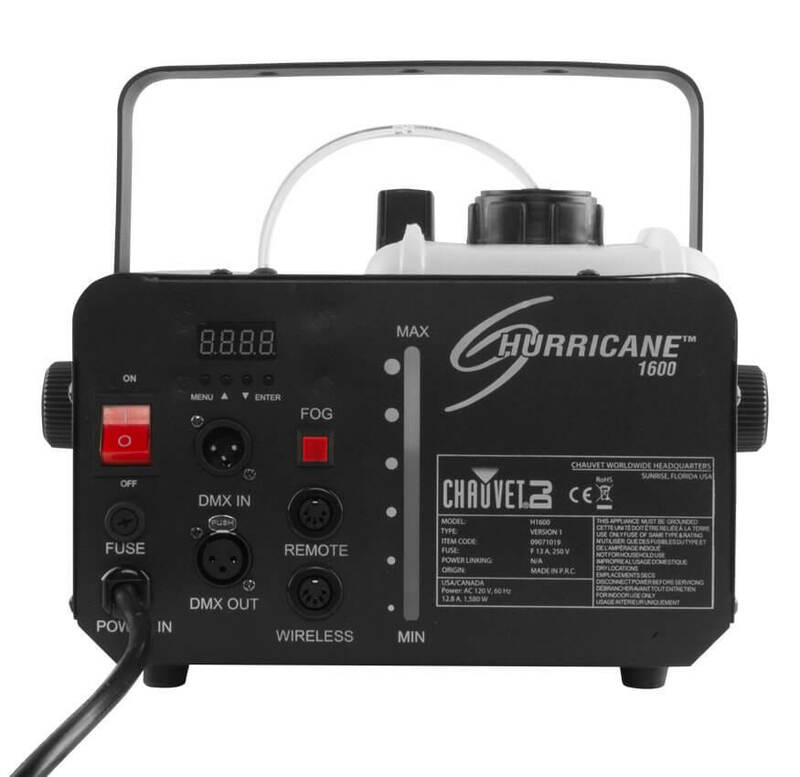 Variable output control from DMX or the included timer remote allows for precise effect operation.The Hurricaneâ¢ 1600 features Always Ready technology providing fog on demand. A manual fog button provides easy control at your finger tips and the LED-illuminated tank enhances operation and safety. An advanced fluid sensor, with automatic shut-off protects the pump from overheating. The machine has ultra-fast heat up time for a quick setup and residue-free water based fog output.